The idea of this story was much more attractive to me than the actual novel turned out to be. Concept: a story of two dimensional shapes and their interaction with a 3 dimensional figure. According to the commentary, it was written both to illustrate the possibilities of a 4th dimension through an analogy we could understand and also to make a pointed commentary on Victoria society, particularly the treatment of women. The problem was after the first chapter or so I quickly got bored with all the geometry references. I think that the clever novel would probably be well received by math and physics geeks (so I still recommend the novel to those of you in that camp) but for the rest of us it can be pretty dry. 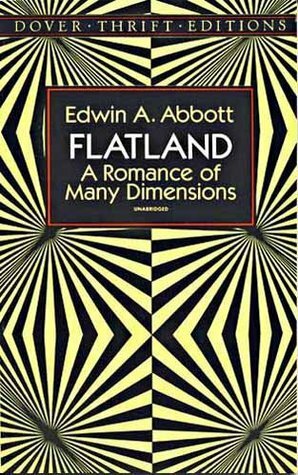 Sign into Goodreads to see if any of your friends have read Flatland.